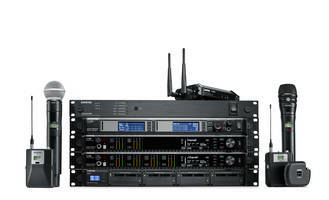 MILPITAS, CALIF. - DECEMBER 07, 2017- Riverview Systems Group, the award-winning, full-service provider of engaging and innovative live events, has expanded its extensive professional audio technology inventory with the addition of more than 100 Shure Axient® Digital and ULX-D Wireless microphone systems. The investment reflects Riverview’s commitment to deliver state-of-the art audiovisual technology to clients across all areas of the company’s business, including live event production, systems integration and trade shows, and it brings it into compliance with new FCC spectrum regulations, well ahead of published deadlines. As the new premier wireless in Shure’s successful wireless microphone system portfolio, Axient® Digital is the most advanced wireless platform to date, suited for all professional productions and situations. Catering to evolving customer needs—especially in an environment of continued RF spectrum pressure - Axient Digital provides high-performance RF, exceptional audio quality, command and control, and hardware scalability.